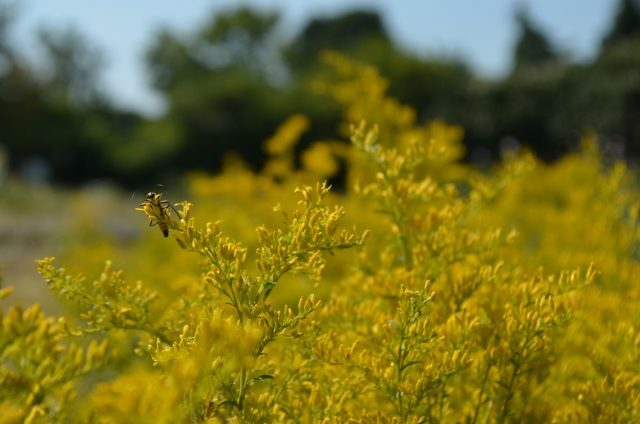 We’re excited to publish this special blog post from our friends at Lewis Ginter Botanical Garden in Richmond. They share some great fall gardening tips and we hope you enjoy them! 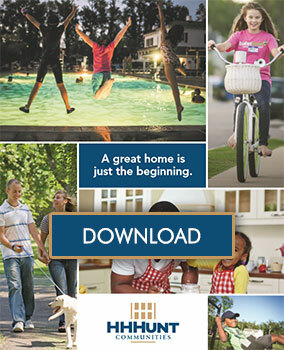 Don’t forget that if your home is located in a planned community, it’s important to check with your Homeowners’ Association documents before beginning any landscape or gardening projects to ensure those plans comply with community guidelines. Autumn is in the air, even if it doesn’t completely feel like it. It’s time for pumpkin spice, bonfires, and hayrides, but did you know that fall is also the best time for planting? The soil is still warm from the summer, which encourages growth; the air is cooler, reducing evaporation and pests; and plenty of rain makes it easy for plants to get established without drying out. Planting in the fall really pays off in the spring and even summer when you get to enjoy the fruits of all your labor. Unsure of what to plant? Well, we have some tips for you! Here is a list of a few of our favorite perennials, shrubs, and even vegetables. Perennials: Perennials are always a great choice for fall planting as they offer beauty year after year, unlike annuals that suffer with the cold of winter. 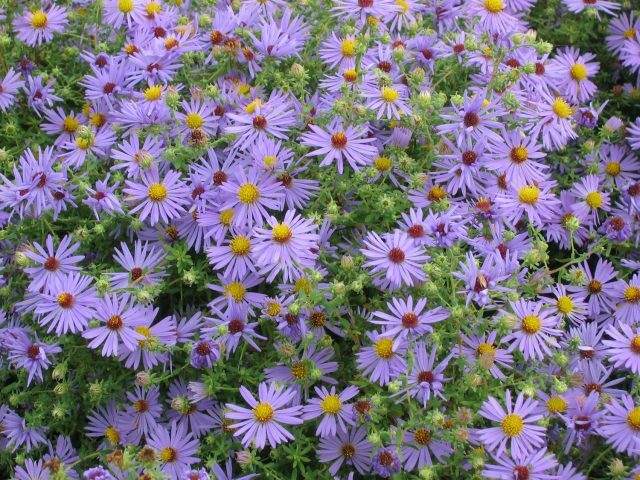 We suggest planting native asters, such as the blue wood aster (Symphyotrichum cordifolium) or the New England aster (Symphyotrichum novae-angliae) in the fall so they have a chance to establish their root system before the heat of summer. You can probably find asters that are already blooming so you’ll have flowers now and every year after too! Perennials make an excellent option for fall gardeners, because although our frigid winter temperatures will make the plant die back in winter, the roots will continue to thrive under the soil. If you want to help monarch butterflies (and other pollinators) while aiding the local ecosystem, you’ll definitely want to plant some natives. Native plants have grown in this area for centuries and are well-suited to the natural climate and conditions without the need for extra watering. We suggest milkweed! There are many types of native milkweed such as swamp milkweed (Asclepias incarnate), common milkweed (Asclepias syriaca), and whorled milkweed (Asclepias verticillata) that are ideal for planting in the fall. Both asters and native milkweed will fill your garden with butterflies and other pollinators come springtime. 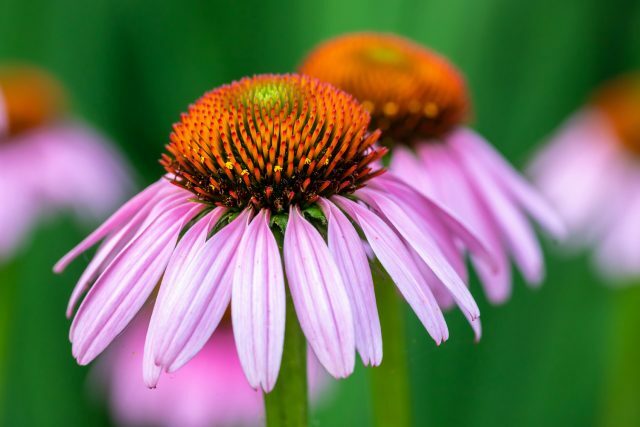 If you’re interested in having some great color contrast, a great combo is purple coneflower (Echinacea purpurea) and goldenrod (Solidago ‘Dansolitlem’ Little Lemon). Plant coneflowers in the back to add height and shorter goldenrods for a pop of color in the front. Shrubs: There are plenty of reasons to plant shrubs, whether it’s for privacy or for their unique flowers and scent. By planting them in the fall, you’re getting a significant jumpstart on your garden as they require more time to get established. Like with all plants, choosing the right plant for the right spot is the key to success. If you’re seeking that sweet smell of spring then you might consider planting koreanspice viburnum (Viburnum carlesii ‘SMVBC’ Spice Baby) before the winter. The koreanspice viburnum is a slow-growing, deciduous shrub that typically reaches about 5 feet. They produce small red buds that change to pink then white flowers that arrange in a snowball-like formation. They do best in full sun (to light shade) in average, full-drained soil. These incredibly fragrant, beautiful shrubs will look wonderful as a hedge. Vegetables: Who said that just because the winter is approaching you’ll have to stop growing vegetables? 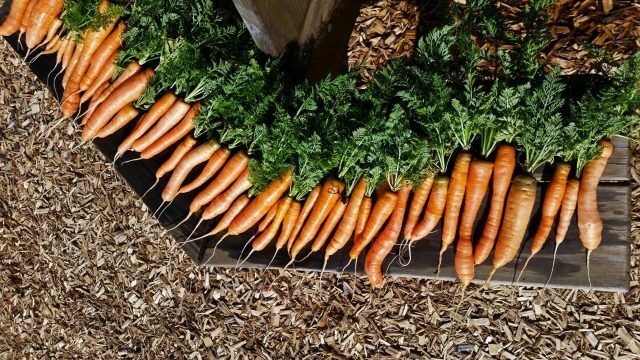 You can still plant carrots, onions, sprouts, lettuce, and more. These vegetables can even survive in light snow coverage and temperatures as low as 15 degrees. However, if you’re looking for a vegetable that will withstand a hard frost and continue to grow through the winter then look at planting leeks, parsnips, kale or collards as front actually enhances their flavor. Imagine a cold winter day, sitting in front of the fireplace, enjoying a steaming bowl of minestrone with vegetables and herbs grown right in your very own garden! For additional inspiration and to even pick up some of the perennials and shrubs mentioned in this post, visit Lewis Ginter Botanical Garden for their Fall PlantFest on September 28th and 29th. Happy fall planting!